Rechargeable Batteries and Battery Chargers have come a long way since their introduction years ago. The technology has improved unrecognisably and with these advancements and the industry shift to the NiMh format, there have been massive improvements to the performance, stability and longevity of the rechargeable cells. 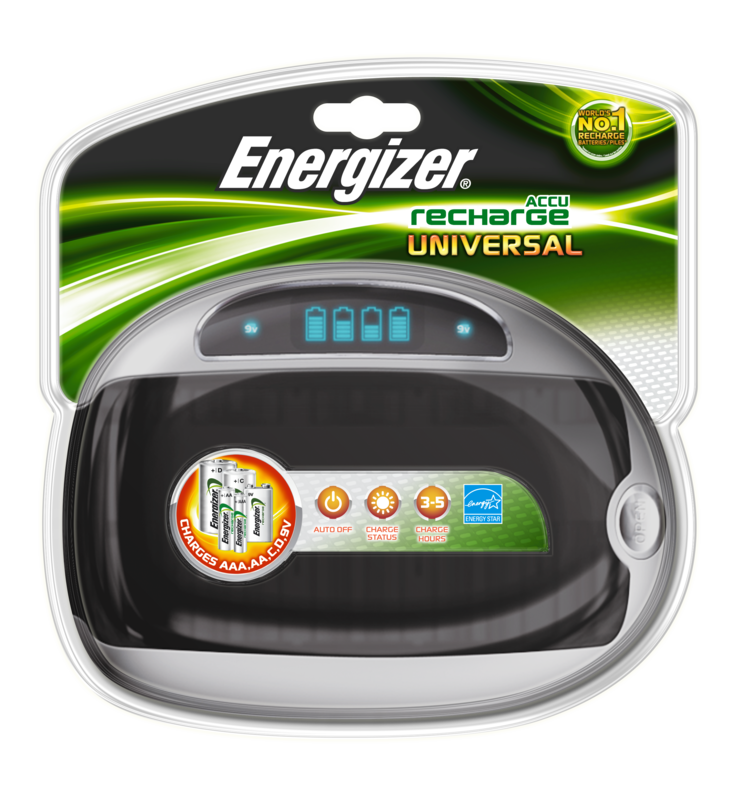 There are a great deal of benefits that accompany modern day rechargeable batteries and their battery chargers. In the majority you will find battery chargers with an LCD screen to tell you how charged each of your batteries is, battery chargers that come with a protective case for storage and travel purposes and battery chargers that can be used across the world with international voltage ranges. In addition to the features available in battery chargers, there are solid benefits that come from using rechargeable batteries as well. Rechargeable batteries can quickly, easily and conveniently be recharged in a host of compatible chargers. Battery chargers come in a variety of designs which are continually evolving and becoming more practical, reliable, easy to use and durable. Some battery chargers will charge a number of different size of batteries, which can be a very convenient feature, owing to the many different types of batteries we all use, on a daily basis. Also, battery chargers can now charge in a number of ways: through a home plug socket, a computer USB port and even a car charging port. So no matter what your situation, you have more battery charging options than ever before, ensuring fully charged batteries are always close at hand. Rechargeable batteries use 1.2 volts of energy the entire time they are in use. 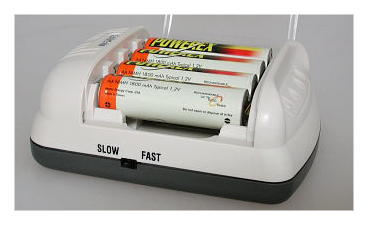 Disposable batteries start at 1.5 volts and progressively get lower until it they are dead. By using rechargeable batteries, you get peak performance at all times, even when the "low battery" signal comes on. Some battery chargers provide a ‘refresh’ mode which will drain your rechargeable batteries before fully charging them again. This mode and function ensures that you always get the optimum performance and life from your batteries. Nickel metal hydride (NiMH) rechargeable batteries are better for the environment than the older nickel cadmium (NiCd) rechargeable batteries, but both are better than disposable batteries. Rechargeable batteries produce less waste because they can be recharged and reused hundreds of times. They also use less energy because recharging batteries with a battery charger is more energy efficient than the cost and energy of making new batteries. Instead of re-ordering from our store, each time you run out of batteries, think how much time you would save by having a set of rechargeable batteries and a battery charger in your own home, ready to use at any time. Simply place the freshly and fully charged batteries in to your device and pop the previously depleted ones into your battery charger. Even if you don’t have extra recharged batteries, in as little as 15 minutes you could have your batteries fully charged again, which beats the time it would take to get to the shops, get the batteries, purchase them and get home to use them. Although the initial cost of a battery charger plus the rechargeable batteries may put you off switching to rechargeable cells, think about it in the long term sense. Rechargeable batteries are capable of being used more than 300 times. Imagine buying one pack of batteries instead of 300. Does it seem worth it now? Looking for chargers? - Click here.